The legal professionals at The Pearl Law Firm, P.A. have worked for many years representing investors who have suffered significant investment losses. In many cases, our clients have lost their entire life savings, due to the misconduct of financial advisors and other perpetrators of law. The Firm has represented hundreds of clients in claims against brokerage firms and registered investment advisors and has recovered multi-millions of dollars for its clients through arbitration, court proceedings or mediations. The securities attorneys at the firm are experienced litigators who are admitted to practice law in various states and Federal Courts, including the U.S. Supreme Court and the highest courts in New York and Florida. The Pearl Law Firm Will Represent You! The Pearl Law Firm, P.A. is a group of Securities Attorneys/Lawyers experienced in serving clients in the areas of Securities litigation, Investment fraud, and the recovery of Investment losses and retirement losses. 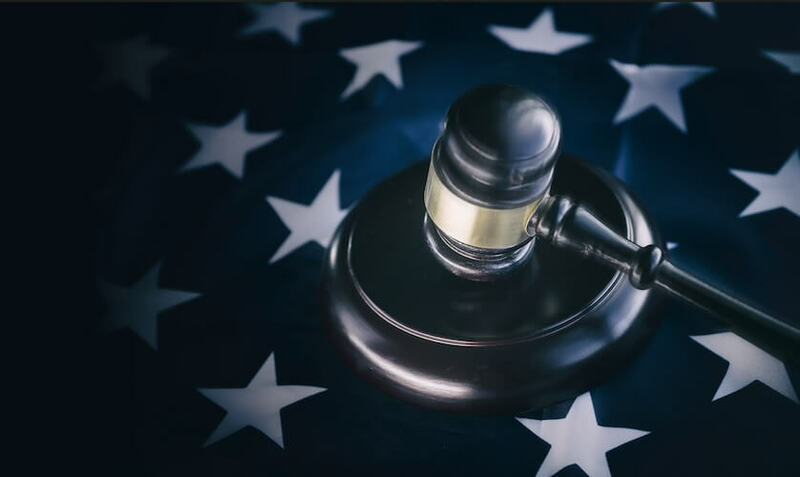 We have extensive experience in the arbitration and resolution of matters pertaining to all types of Investment losses, Securities litigation, Financial advisor fraud, Broker fraud, Stock fraud, Financial advisor fraud, and loss of retirement funds. The lawyers of The Pearl Law Firm, P.A. have worked for many years representing investors who have suffered significant investment losses, in many cases their entire life savings, due to the misconduct of financial advisors and stock brokers. I can report only the best, highest compliments on Mr. Pearl’s handling of my case. He not only grasped an extremely complex FINRA case I brought to him; but, through analysis, was able to get a much higher understanding of my situation than I had thought was possible. He has just obtained a 3-figure mediated settlement for me with one of this country’s biggest securities firms. Liz, Ph.D.
How do I go about finding an investment professional I can trust? People come to our offices after suffering substantial losses in their retirement or investment accounts. We explain to them that the loss is not their fault and that they did the right thing in working with an investment professional, just as they would see a doctor or lawyer for medical or legal problems. After appropriate analysis we may tell them that the investment professional simply did not do the right job for them and that we are willing to represent them to recover their loss. Often they ask, What could I have done to have avoided this loss? (1) What comprehensive financial planning processes do you use before recommending appropriate investments to me? (2) Do you develop a specific written Investment Policy Statement based upon my personal goals and objectives? (3) How do you determine what investment vehicles to use in accomplishing my investment objectives? In this regard, are my objectives realistic, given my personal tolerance for risk? (4) What are your fees and how are you compensated? (5) Where can I obtain your NASD/FINRA record? (6) What are you actively doing to prepare for the next downturn/upturn in the market? (7) What criteria do you use to monitor the progress and development for sufficient retirement funds and what investment criteria are used to protect them after retirement? (8) How do you determine and report what the annual return on my investments has been over the past year, the past 3 years and the past 5 years? What is the return on these investments net of all costs and fees? (9) What is, or has been, my portfolio performance relative to other market indexes? Investing for returns and the protection of your assets should be done with your knowledge and consent. Knowledge is power and should be shared by your investment professional with you, the investor. The suitability of particular investments and the allocation of your portfolio is a function of your age, total net worth, physical (health) condition, investment goals and your tolerance for risk (loss). Invest wisely with an investment professional who provides you with full, clear and understandable information upon which you can make your decisions. How do I go about finding a qualified securities lawyer to handle my investment losses claim? A. While no special designation or certification as a specialist or certification in the field of practice in securities arbitration or investment fraud litigation has been granted or approved by any state or the American Bar Association, many lawyers hold themselves out as “Investment Fraud Lawyers” or “Securities Arbitration Lawyers” when in fact, in some instances, they have limited experience in this area of the law, and practice many different types of law, including personal injury, workmen’s compensation, immigration, or medical malpractice. While no representation is made that the quality of legal services to be performed by The Pearl Law Firm, P.A. 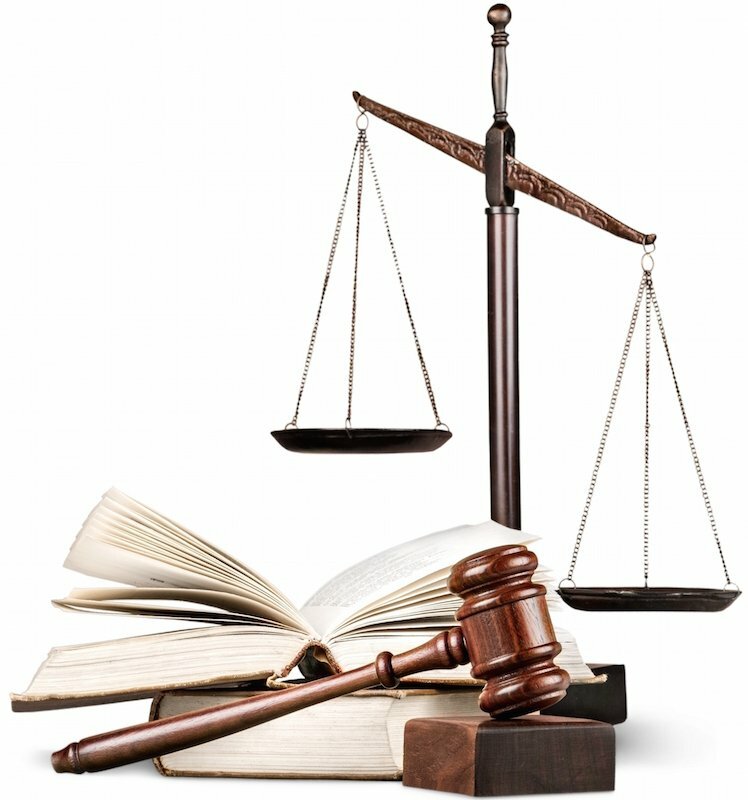 is greater than the quality of legal services to be performed by other lawyers, before you hire a securities arbitration lawyer or a lawyer professing to be an investment fraud lawyer, ask that person exactly how many stockbroker fraud, securities fraud or investment fraud cases that they have handled. We at the Pearl Law Firm, P.A. concentrate our practice almost entirely in the area of representation of investment victims. One additional way to determine the level of commitment of your lawyer to the representation of investment clients is to learn whether the lawyer is a member of Public Investor Arbitration Bar Association (PIABA?), a member organization consisting of lawyers who represent victims of misconduct by investment brokers. PIABA’s website (www.piaba.org) can be searched to determine whether the attorney is a PIABA member. Mr. Pearl of The Pearl Law Firm, P.A. is a former Chair of PIABA’s By-Laws Committee. Another useful service which rates attorneys and their client’s experiences with them is AVVO.com – See Mr. Pearl of The Pearl Law Firm, P.A. on AVVO.com. How do I know if my investment losses are merely the result of ordinary fluctuations in the investment markets or mismanagement of my investments by my financial advisor? I am constantly amazed how willing investors are to accept the excuses offered by their investment advisors as to the reasons for investment losses. These professionals are legally required to manage your investment accounts in accordance with your stated wishes, your investment objectives and your tolerance for risk. Unless you are a highly sophisticated investor, it would be quite difficult for you to determine whether the investments chosen by your professional were appropriate. Furthermore, because the customer/financial advisor relationship is founded upon an expectation of trust, the customer is normally willing to accept the broker’s explanation, no matter how untrue, as to the reasons for these losses. If your losses are considerable, only by consulting independent professionals, such as the attorneys at our firm, can a determination be made as to whether your investment professional engaged in misconduct. We see the term Ponzi Scheme in the news. What does it mean? Named after Charles Ponzi, who fleeced Boston investors of nearly $10 million in 1920 in a postal coupon investment scheme, a Ponzi scheme is a financial fraud whereby money invested by later investors is used to pay returns to previous investors, usually at artificially­high returns, so that still more investors are attracted. Such schemes never make any money except for the operators, who thus appear successful to new potential investors. Recently, Bernard Madoff of New York is claim to have perpetrated the largest Ponzi scheme in U.S. history. Our firm represents over 200 investors in the largest such scheme in the history of Florida, that perpetrated by Louis Pearlman, the boy band promoter responsible for the success of bands such as N Sync and Backstreet Boys. Pearlman was given a 28 year jail sentence. Recently we initiated litigation against various banks and other parties we believe to be responsible for assisting Pearlman, including the State Office of Financial Regulation for not shutting down Pearlman’s operations when the State had ample evidence of his illegal activities. What are the most common forms of misconduct by stockbrokers and other investment advisors? Unsuitable Investments – Brokers have a legal obligation to learn their customer’s financial goals and the level of risk they can withstand. Brokers may not make unsuitable recommendations, given the nature of the customers investment objectives and tolerance for risk. I would say that the most important and possibly least understood obligation of a stockbroker is that all investment recommendations must be consistent with the customer’s financial status, investment objectives, level of understanding and risk tolerance. Another important rule is the “know your customer” rule, which requires a broker to have reasonable grounds for believing that the recommendation is suitable and appropriate for that particular customer based upon his individual financial situation, level of sophistication and financial needs. For example, it is not sufficient for the broker to claim that he did not know that the customer was relying on these investments to last for the rest of the customers life. Unauthorized Trading/Failure to follow customer instructions – A broker may not execute trades in a customer’s account unless the customer has approved and authorized the trade in advance, or has given the broker discretionary trading authority (the power for the broker to make trading decisions in the account). A broker simply may not engage in unauthorized trading. If he does, his firm is liable for the losses incurred as a result. In addition, a broker has an obligation to carry out the instructions of the customer. It is almost always advisable to place sell instructions to your broker in writing to avoid a later dispute as to whether those instructions were actually given. Churning – Heavily trading an account to generate brokerage commissions without regard to a customer’s investment goals. Since stockbrokers are compensated through commissions on the transactions which they execute, there is some inherent tension between the broker’s interests and the interests of the customer. The broker is obligated to recommend trades which meet the needs of the customer, not merely to generate commissions for himself. Churning by a broker involving purchasing and selling securities for the purpose of increasing commissions is expressly prohibited. Misrepresentations or Omissions – Brokers may not falsely minimize the risks of a security or give false or misleading information about a company. Nor may he omit important information about an investment the broker is recommending. A broker also has a duty to disclose all material information in connection with an investment recommendation. In particular, exaggerated, false or misleading statements are prohibited in a stockbroker’s communications with the public. These types of claims are usually seen in connection with the sale of initial public offerings. Excessive Commissions – Commissions, as well as markups charged on over -the -counter stock transactions, shouldn’t exceed the rate a customer agreed to. In addition, the size of commissions and markups is regulated by the stock exchanges and the NASD. Sales of Proprietary Products and Variable Annuities – Many brokerage firms feature products which they themselves package and sell to their unwitting customers as though these investments are the absolute best products available, when in fact the investments carry the highest commissions payable to the brokers, giving the brokers an inducement to sell the products to their customers, regardless of the customers needs. This is similar to a brokers incentive to sell variable annuities to customers without disclosing that companies issuing variable annuities pay the highest commission rate in the industry, the cost of which is ultimately passed along to customers in the form of carrying charges over the life of the annuity and high surrender fees in the event of early distributions from the annuities in excess of the annual allowable amounts. Variable annuities fluctuate in value in accordance with the performance of the investments chosen for the annuities sub-accounts. ? Customers are often ill-informed as to the nature of these investments and, like other investments, can be entirely unsuitable for the customer, based upon his or her investment objectives and risk tolerance. Trading on Margin/Options – Certain forms of investments pose particular problems, and therefore, brokers have additional duties in connection with such activity. For example, trading with money borrowed from the brokerage firm, known as trading on margin, is a carefully regulated activity. Brokers also have special responsibilities in connection with options trading and private placement limited partnerships among other forms of investments. How do I know if my broker has been the subject of previous customer complaints? broker’s record of customer complaints can be accessed on line by using the following website maintained by FINRA: www.finra.org. or http://brokercheck.finra.org. How do I lodge a complaint against my investment advisor? If you have been a victim of Stockbroker fraud, Financial advisor fraud, Investment fraud, have suffered Investment losses, Stock losses, or Retirement losses, or need a Securities attorney, please contact us today for a free consulation.